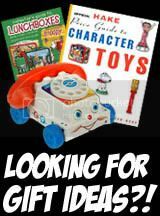 Vintage Toys & Memorabilia: This Year Please Donate Some Toys To TOYS FOR TOTS! 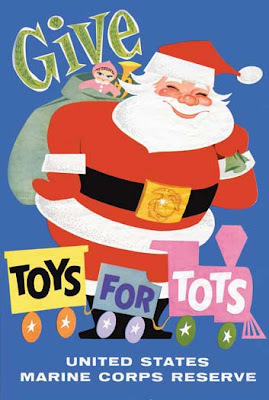 This Year Please Donate Some Toys To TOYS FOR TOTS! "Let's Show Everyone That Toy Collectors Are The Most Generous People You Can Meet!" I never "Get Political" or anything like that but I want to remind everybody about an incredible charity called TOYS FOR TOTS. I know many of you have heard of it. Every year the US Marine Corp starts a drive to help bring toys to under-privledged children everywhere. I think as toy collectors we really need to think about how we are blessed with this freedom & we need to think about others. Since 1989 this organization has helped bring joy & happiness to many children who's parents can hardly afford food! Think about being a little kid & the sheer joy a gift of a toy brings. You can help others who can't help themselves. donate a sealed MINT IN PACKAGE Toy to one of their drop-off locations. Their "Donation Boxes" are everywhere! I know they have them at ALL Toys-R-Us stores, that's the one I use. But, if you check out their website they can tell you all of the many spots in your own hometown. I hope everyone who reads this not only thinks about it but does it. Thank You, I appreciate you reading this far.